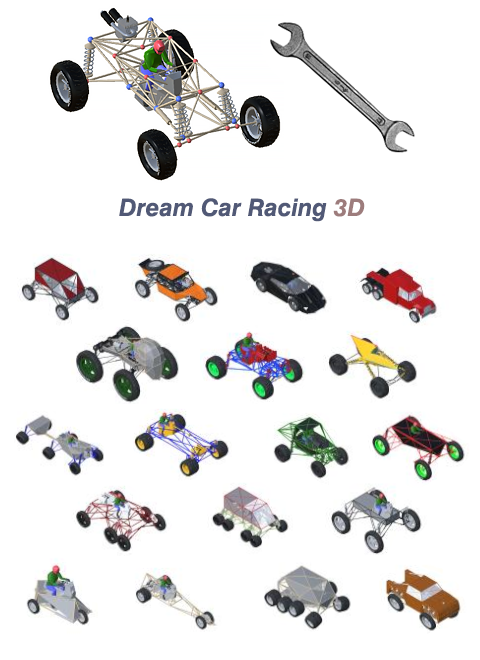 Dream Car Builder is a game where you can design your own cars and race them. Designing the perfect frame and steering system for the car of your dreams is no simple matter. If you are interested, and are up for the challenge, this game is for you! Sandbox: Compete with other players using your cars. 100% realistic soft body physics: Slow down the time. Build deformable cars. Dream Car Builder will be released from Early Access on September 21. I made a new official game trailer for Dream Car Builder. New maps: "Desert 2" and "Canyon"
I made two new maps during the last week: "Desert" and "Canyon". Hello, I am creating a new map, and I am stuck. What do you think about this? Can I do something with it? Get Dream Car Racing 3D for free if you bought one of the DCR games before September 21, 2016.